What one graduation gown color means for Garfield. The idea of “One Garfield”, as represented by identical gowns and caps in color at graduation, has been discussed for a while, but the issue became increasingly controversial in recent years. Last year, former class of 2016 ASG vice president Hannah Farrell and other members of ASG strongly advocated for a single color gown. The senior class vote was extremely close, and the final verdict was to continue with two colors. This year, ASG tried once again to implement this issue, and faced similar backlash and controversy to last year’s attempt. As a result of negotiations, the senior class was presented with the option (on the manual form) to choose between two colors without a direct correlation to gender. 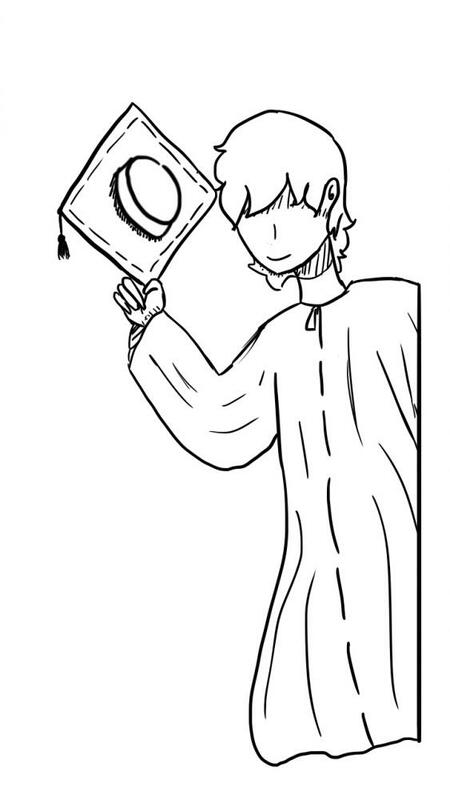 Traditionally, graduating male students wear purple gowns at the ceremony, and graduating female students wear white. However, this raises concerns for students who identify as non-binary or transgender. Many students recognize this issue, and strive to create a welcoming atmosphere for all students. Barnaby Woods, senior class vice president, is among these individuals, and believes that the issue isn’t as small as people perceive it to be. “Many people were quick to point out, ‘Oh, it’s such a small amount of transgender people at this school,’” said Woods. Woods also thinks that the change isn’t limited to transgender students. Sophomore Sam Sheckler, is gender-neutral, and while they don’t strongly support either side, they do believe that Garfield’s intentions need to be reconsidered. “[Garfield] wasn’t actively trying to send a message that [we] are transphobic, but that’s what is being thrown across with ‘girls wear this color, guys wear this color.’ It was accidental, but the fact that they haven’t done anything to change it sends a whole different message,” said Sheckler. However, while both Woods and Sheckler want to see greater change in the community, senior class president Felecia Bazie has a different idea in mind. “Imagine [that] you wanted to wear the color white since you were in middle school, and I tell you you’re graduating in purple. That’s a slap in the face. It’s disrespectful, ” Bazie later added. As for the issue as a whole, Bazie says an idea as complex as gender cannot be fully addressed by altering gown color. “I don’t think one gown color is going to [bring inclusivity]. Even if you [have] one gown color across the board, there are going to be people at graduation who aren’t happy. One color wouldn’t mean that everyone is at peace,” said Bazie. Bazie adds that the issue has less of a correlation to gender than people think. “It’s hard to do but [we have to] get away from the stigma that purple has to do with male, and white for female.” said Bazie. Both parties have yet to reach a consensus on how to approach this problem, and each have different ideas for Garfield’s future. have the gender neutral graduation I am in favor of,” Woods said. On the other hand, Bazie raises a different point.